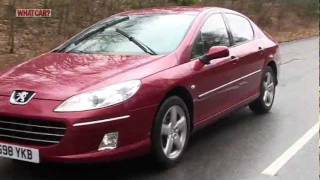 A new 2009 Peugeot 407 with revised specification introduces a number of exterior and interior enhancements, a new RT5 satellite navigation system, a new �SR� model to the range and a new HDi 140 diesel engine producing 150 g/km of (CO2). Since launch, the 407 range, which includes Saloon, SW and Coup� body styles, has been recognised in its segment for its stylish design, advanced technology features and high levels of road holding. All models are elegant, distinctive and dynamic, in a segment based around traditional yet conventional saloon and estates, designed with style and practicality in mind. One of the attractions of the 407 is its feline appearance, which initiated the latest �house style� of Peugeot cars that has inspired the appearance of ranges that followed. 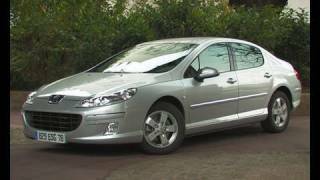 A new 2009 Peugeot 407 with revised specification that goes on sale in September introduces a number of exterior and interior enhancements, a new RT5 satellite navigation system, a new �SR' model to the range and a new HDi 140 diesel engine producing 150 g/km of (CO 2 ). Since launch, the 407 range, which includes Saloon, SW and Coupé body styles, has been recognised in its segment for its stylish design, advanced technology features and high levels of road holding. All models are elegant, distinctive and dynamic, in a segment based around traditional yet conventional saloon and estates, designed with style and practicality in mind. One of the attractions of the 407 is its feline appearance, which initiated the latest �house style' of Peugeot cars that has inspired the appearance of ranges that followed. Characterised by a more distinctive design at the front, the new air intake fits perfectly both in terms of technical performance and its bold design. The rear bumper now incorporates a diffuser style number-plate surround. The interior, where the driver environment is so important, has been enhanced. SE and GT models now feature the new �piano black' finish which is applied to the door handle and air vent surrounds and to the centre console. The dynamic characteristics of 407, including exceptional road holding, are the result of a number of technical solutions and Peugeot's expertise in fine tuning of the suspension that benefits both ride and handling. In anticipation of the changing expectations of its customers, Peugeot has strengthened the appeal of the 407's engaging dynamic performance even further. Subtle visual improvements update a design that is just as dynamic and bold as before but now offers more in terms of elegance, robustness and high quality, both externally and internally. New enhanced comfort equipment increases the appeal of the different versions by offering even greater well-being to its occupants, in particular on-board temperature control and new telematics systems. New equipment like front parking assistance enhances the car's world-wide reputation for ease of driving and dynamic performance. It is available with a choice of four- and six-cylinder engines featuring cutting edge technology, particularly on the HDi Diesel versions, the most popular engine in the 407. These include an updated 2.0-litre HDi 140 engine with a 6-speed manual gearbox which develops a power of 140 bhp - an increase of 4 bhp over the HDi 136. It also benefits from low fuel consumption of 49.5 mpg and CO 2 emissions reduced to 150 g/km. 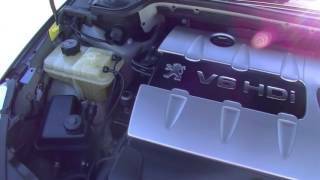 This engine, which complies with anticipated future Euro 5 emission standards, testifies Peugeot's ongoing commitment to achieve the best possible environmental performance. For example, an additive-enhanced diesel particulate filter system (FAP) is standard on all HDi Diesel powered 407s, following the introduction of the 1.6-litre HDi 110FAP engine. That is particularly well suited as a fleet vehicle due to its low fuel consumption and CO 2 emissions (only 140 g/km for the Saloon). All Peugeot HDi engines, back to 1998, can operate on B30 (Biodiesel at a 30% mixture). A new 2.0-litre �Bioflex' engine operating on E85 fuel will also be available from November, maximising the environmental benefit. Standard specification by trim level.